It all started on Friday night. I had two days in a row of an intense work out on the ol’ cross trainer at the gym, and I think I over did it. By night’s end my pelvic area was so sore that it hurt to walk up the stairs, get in and out of the car, and pretty much do anything. I hated it! I already had some pain, which I attributed to Pelvic Girdle Pain that started about a week ago, but was amplified by the work out. Unfortunately, that put me into lazy mode most of Saturday. Saturday night after a girl’s night out, I came home and was flipping through the netflix que with Dan, and saw the documentary The Business of Being Born, and decided to check it out. This is a documentary that outlines the positive outcomes to home births and why it is so much better do give birth naturally, than with drugs. They go into the negative effects that induction has on a baby (particularly pitocin) and why the hospital system has failed us. Dan only lasted about ten minutes watching the film. In his words…”this crunchy stuff is stupid”. I was merely curious as to what they had to say…and who knows, I may have a few take-aways from it. Let me just say that I have a great deal of respect for Moms that decide to deliver naturally. I think it’s beautiful, courageous, and a selfless act for your newborn. However, with that being said, I don’t think that those who choose not, to love their newborn any less. This movie made some claims that the release of oxitocin during a natural delivery, creates a bond that is unmatched by Moms that deliver with an epidural. I can’t speak for the Moms that gave birth naturally, but the euphoria after delivery with Parker was pretty intense. I was so full of love and joy, and we had a bond that was such a precious moment. I did have an epidural, and I fully intend on having one again with my next delivery. I don’t think that makes me a bad Mom or any less loving because of this choice. I choose this because I am an anxious person and if I have the choice to have something that will ease the pain of delivery and help me have a positive experience, then I am all for it. I am however, a little apprehensive about the usage of pitocin in deliveries. It is proven that it does cause more intense contractions, which can put the baby in fetal distress, or if is not given when the cervix is ready, can increase the risk of a c-section. 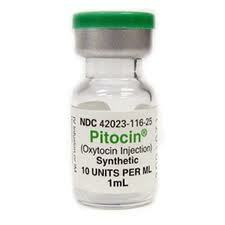 The pitocin causes the contractions to be stronger and closer together, which can be harder for the baby to handle. This movie has brought that to my attention. I understand if you are a week or more past your due date and you need pitocin, but there are a lot of hospitals that are giving pitocin to speed up deliveries without even needing it in order to have higher patient turn overs, or to have the deliveries happen at a time that is convenient for them. I think this is something that pregnant Moms should question. Before you are given pitocin, ask your doctor what your bishop score is. This will give you a better idea if you’re a good canidate for pitocin, or if your doctor is trying to speed up your delivery without there being a need to. So, after watching this movie, I had THE WORST dream about my delivery. I think it started to scare me a bit knowing that my delivery is coming up pretty soon and also knowing that I birth larger babies. My dream had me in the delivery room and the baby was already in my arms. I was completely knocked out during my delivery and had no recollection of the labor at all. To some, that may be a blessing, but I was not happy with my complete altered state of conciseness at the time. Thank God it was just a dream. So, on Sunday I woke up after not only having a horrible dream, but with an excruciating head ache which was attributed to the lack of sleep from a head cold that left me without usage of my nostrils. I was so exhausted, that I laid around most of the day, missed church…basically being a waste of life. Then it hit me around 4pm…NAUSEA! I was a spewing spout… to put it eloquently. It continued through the night, and turned me into a lump of worthlessness all day Monday. I don’t think I’ve ever felt that bad during pregnancy. It’s bad enough that you’re puking every few minutes, but then to have a baby inside you kicking your belly while you toss your cookies is another! Fortunately, my Mom came to the rescue and came to help out with Parker while I rested and recovered. This is the second time during this pregnancy that I got a stomach bug. What are the chances? Is someone trying to test me? I was starting to feel better by night’s end last night and settled into a good restful night sleep. That was until 6:30 am, when Parker started screaming from his room. This boy…never wakes up at night. I mean, he could sleep through a hurricane. This wasn’t a normal baby cry. This was a SICK baby cry. I had given my poor little boy the stomach bug. We’ll spare you the details, but it was so sad when we went to get him. After we cleaned him up and redressed him, we tried to give him some love and bring him into our bed, but he was in no snuggling sleepy mood. He was ready to start his day… a cranky pants kind of day. After dinner he started to snap out of his cranky mood. Dan even got him to grin from ear to ear and open his arms real big and wide when we say “So Big!”. I complained all day about how he wouldn’t let me hold him. However, tonight when it came time to put him down for bed after reading him a book, I picked him up and went to kiss him, and he wouldn’t let go of my neck. I would peel him off, and he’d cling again tight just loving on his Mama. Oh how I love that boy! That just made my day. Dan and I love to talk about our future dreams together. Raising a family, future traveling, where we’ll live later in life, what our next house will be like, etc. Another thing we love to talking about is opening up a shop. The entrepreneur in me has SO many ideas. How do I channel this into a sound business plan? Where do I start? What do I choose? 1. Flower Shop– This has been my dream for the longest. I got really inspired when we traveled to Florence, Italy and I saw the cutest little corner flower shops all over the place. Simple, sweet and full of happiness. Has anyone ever seen “Bed of Roses“? Yeah, it’s that old cheesy 90’s movie with Christian Slater who sweeps a woman of her feet with flowers. You can’t help but want to open up a flower shop after watching this flick. My flower shop is simple. 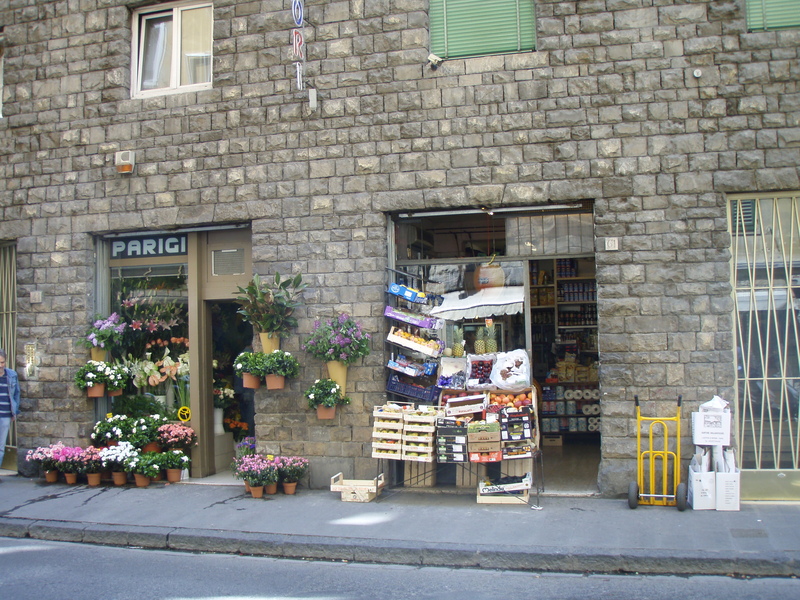 It would be a shop in a heavy foot traffic area and have beautiful in season flowers. The flowers will be individually kept in metal rustic canisters separated by type and color. There will be a “build your own bouquet” area where you can select the flowers you want for your own bouquet, and they will be wrapped in brown paper and tied at the base with a beautiful raffia ribbon. That to me my friend, is pure happiness. Now who wouldn’t want to receive a custom bouquet like THAT? The shop would also have other gift friendly things such as fresh organic seasonal fruit and a “create your own fruit” basket. A small local organic wine selection and a spin rack of greeting cards made from recycled paper. Think of it as the ultimate place to stop on the way to a friends house, or on the way to a date. The perfect place to go to pick up something for a friend or family member before you head to their house for a fabulous Soiree. Of course it would be a big hit for holidays and birthdays too. That goes without saying. When mentioning this to my husband who is a gun aficionado… he cleverly comes up with the name “Petals and Pistols”. He says it’s the perfect solution to combine our two loves into one shop. His logic goes something like this… A husband will go to the gun store to get in touch with his inner masculine side and purchase some kind of beautiful lethal weapon, and then taps into his softer side and gets his wife or girlfriend a beautiful bouquet of flowers. See, the perfect fit. Kind of like Guns and Roses. It just works. Not exactly what I had in mind, but I love the fact that he’s making his dreams apart of mine. I love it! 2.Pigtails and Crewcuts- I got this brilliant idea on the way to take my son for his second haircut in three months; open a kids salon! The one I went to was about twenty minutes away, which means really far when you have a little one like myself. The area that I live in is pretty affluent and there are not many kids salons at all. There was one not too far north of us that was always packed, but it closed. So…I was thinking, what an opportunity! Owning this franchise would be great. You pay the franchise fee and you get all the marketing, training, design layouts and equipment selection. It looks like a piece of cake. Not to mention that the banks are more likely to give you a loan for a franchise than a “start-up” business. The only bummer is that, like I mentioned, everything is already picked for you, so I wouldn’t be able to use my creative juices and design the layout or decorate the store. All of that has already been done by their design and marketing team. Those of you that live here in Alpharetta, don’t you agree? Wouldn’t you come to my kids salon? We totally need one! 3. Cupcakes and Tea Cups– I mentioned this a wee bit here back when I got an array of vintage tea cups from my Aunt. However, since then my idea has grown and taken a more of a child approach. As a child I loved to have tea parties. Yes, I was one of those girls who would put her stuffed animals in a little circle and serve them tea, and bug my Mom and brother to come join us (I was a sad lonely child wasn’t I?). How cool would it be if there was a place where you could have children’s tea parties but also make custom cupcakes? There would be several “party rooms” where you can have little tea parties. The girls could get dressed up in their finest “dress up” clothes from the “Let’s play dress-up room” and sip on some teas with their very best little rosy cheeked friends. Then hit the “Cupcake Creation” area where there will be all different kinds of fresh cupcakes to choose from under a glass case. 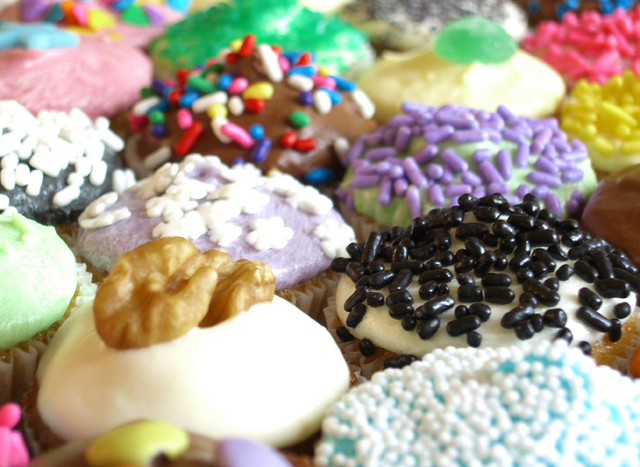 They will be able to go over to an area with an array of different icings (every color in the rainbow) and toppings. With just a pull of a lever they will pick the color of their icing. Go over to the “Sprinkles” area where just a few sprinkles of their favorite topping will complete the cupcake. No worries about mess, the metal grate will catch all the sprinkles in a hidden trap door to be cleaned later. Woah… I’ve put way too much thought into this! I think I want to be a kid again. Isn’t this a fabulous idea?! 4.Eco-Friendly Nail Salon-Any woman will agree…when it comes to getting good pedicures, it’s a must. Who doesn’t love them? HOWEVER- what is up with all the toxic fumes? Don’t these places have ventilation? I wouldn’t be surprised if I killed a few hundred brain cells just walking into those places. I get a headache just thinking about it. Hey, it’s the price we pay for beauty right? But what if it didn’t have to be? What if there was a place that we could go that ZERO VOC’s (volatile organic compounds)? What if the nail salon we went to ONLY used all natural essential oils and lotions that have natural fragrances? What if all the products used were eco-friendly? What if there was great ventilation for goodness sake? I ask questions all the time like: What is that stuff that sizzles in the water? Is it safe for me to put my feet in? Is there something other than acetone that can remove polish? Is there such thing as eco-friendly polish so that when my son goes to bite my finger (or toe for that matter) he’s not going to get a taste of something toxic? These are all questions I ponder. I don’t have the slightest clue about nail salons, and to be quite honest, it seems as if its the Asian community that has really taken off with this business, so I’m not even sure if I could compete. Nonetheless, it’s an idea…and I would love to see this in my community one of these days. Until then, I guess I’ll continue to get headaches and toxic polish all for the sake of beauty and relaxation. 5. Cafe Intermezzo– Anyone who’s been to Cafe Intermezzo in Atlanta knows- it’s the absolute best coffee and dessert place around. We SO need a place like this in the ‘burbs of Alpharetta. You know, a euro-inspired bakery that serves fabulous coffee and tea and irresistible “bakery style” fresh desserts from the case. Every time Dan and I go to Cafe Intermezzo it’s always packed to the brim. Location, great food, public interest is the perfect formula for a great business. We need a candle lit romantic adult hang out spot with romanesque statues, wrought iron tables and stone water features. Where people from all walks of life fall in love with each other all over again, thoughts and ideas create long conversations and the hankering for sweets and caffeine is fulfilled. I would love to open a place like this. It would be just the kind of place that we would need to make Friday nights sparkle. I know I’m taking a risk putting out all my business ideas on my blog for all fifteen of you readers to read. If I can inspire others to open up a shop before I can, then maybe that will teach my scared, non-spontaneous, non-risk taking self a lesson!